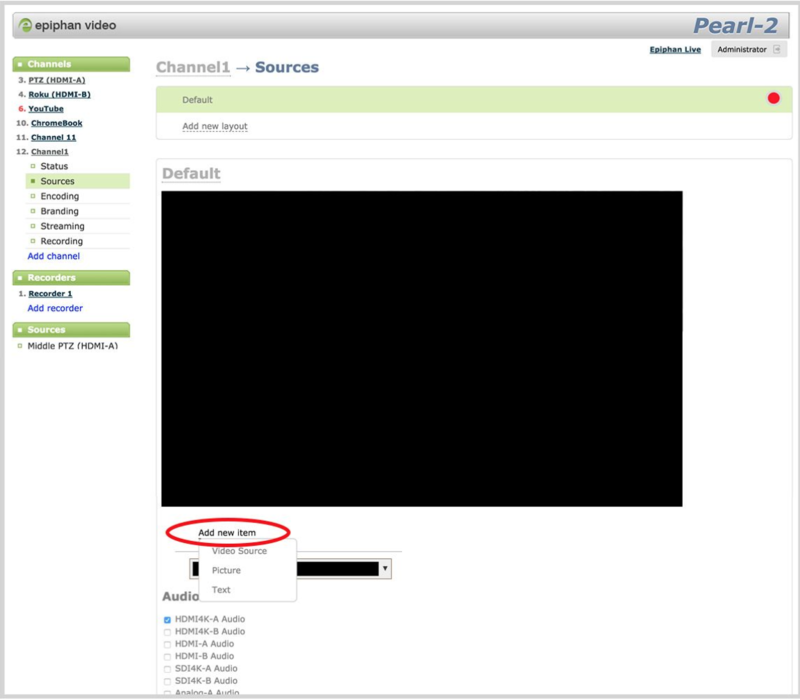 Log on to the Admin panel for Pearl-2 (your Channels/Sources list may be different from image below). 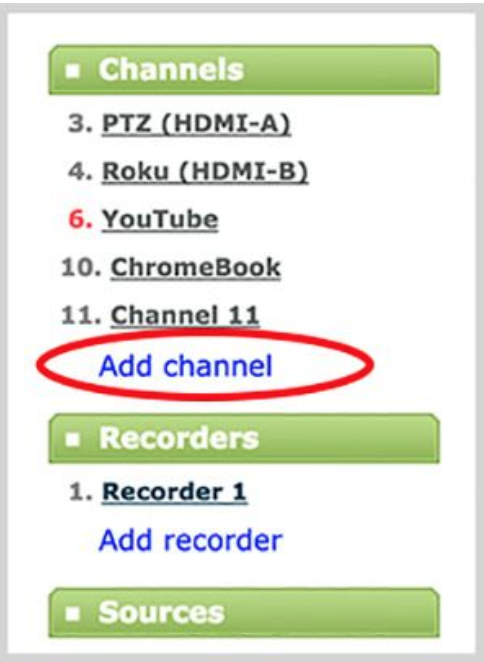 To add each of your sources to the channel layout, click Add new item. A drop-down menu appears, and allows you to select text, an image, or any video source connected to Pearl-2. 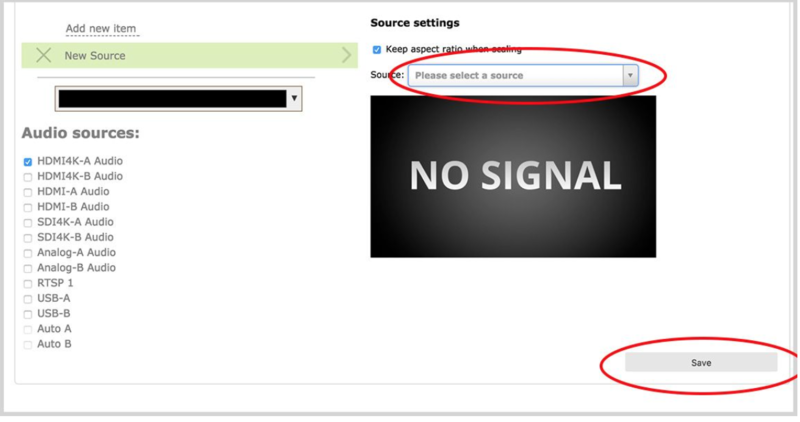 After selecting Video Source, an additional drop down menu will appear on the right. Choose the video source you wish to add. Your source appears in the visual layout editor, to be arranged as desired using the features found in the user guide. Repeat steps 3 and 4 to add as many video sources as desired. Select the desired audio source on the left under Audio sources.Click Save on the bottom of the page once you are done setting up layouts. layouts during your live stream. 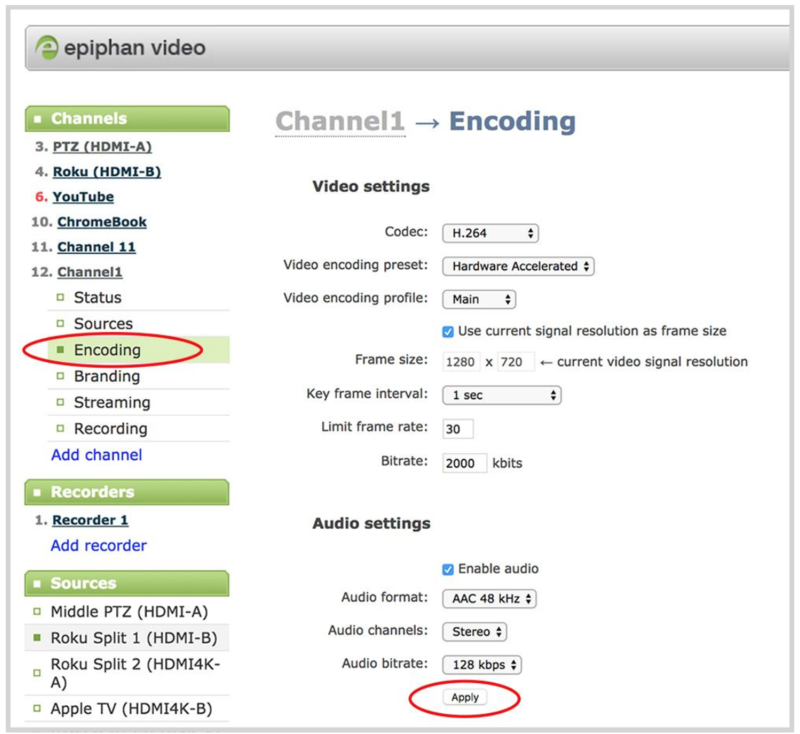 Go to the Encoding page for your channel. You will find it in the menu on the left, under your channel’s name. Verify the encoding settings match IBM Watson Media recommended encoder settings. For the purposes of this article, we will be using the suggested and most common Cloud Transcoding Mode Settings. If any changes are made to the stream setup, click Apply at the bottom. 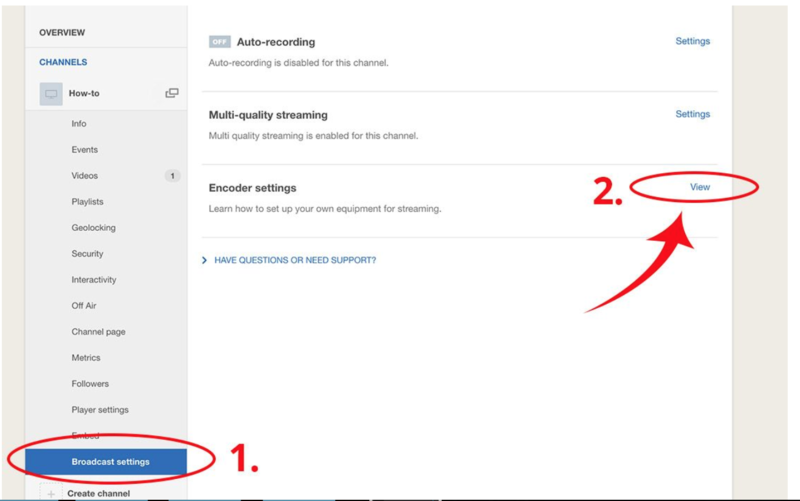 These settings can be adjusted to accommodate a better quality stream if you are confident you have sufficient encoding resources and bandwidth to successfully encode and send with no quality loss. Attempting higher resolutions and bitrates without sufficient resources can lead to poor image quality and interrupted viewing or recordings. Choose or create a channel in your IBM Watson Media account. 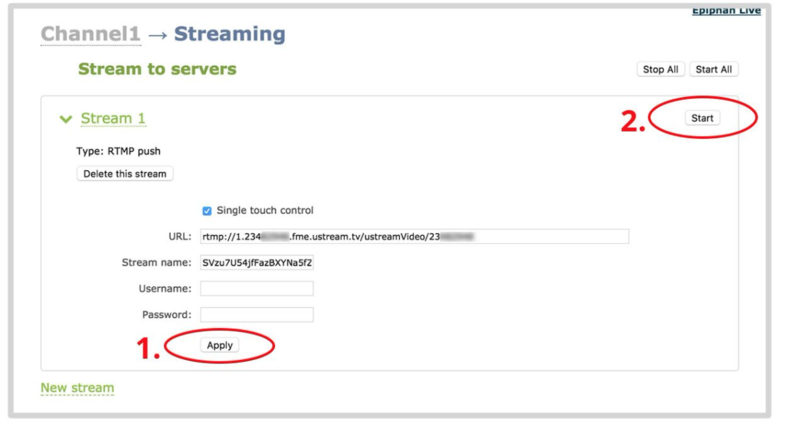 Step 5: Copy Encoder settings from Ustream to Pearl-2 Admin. 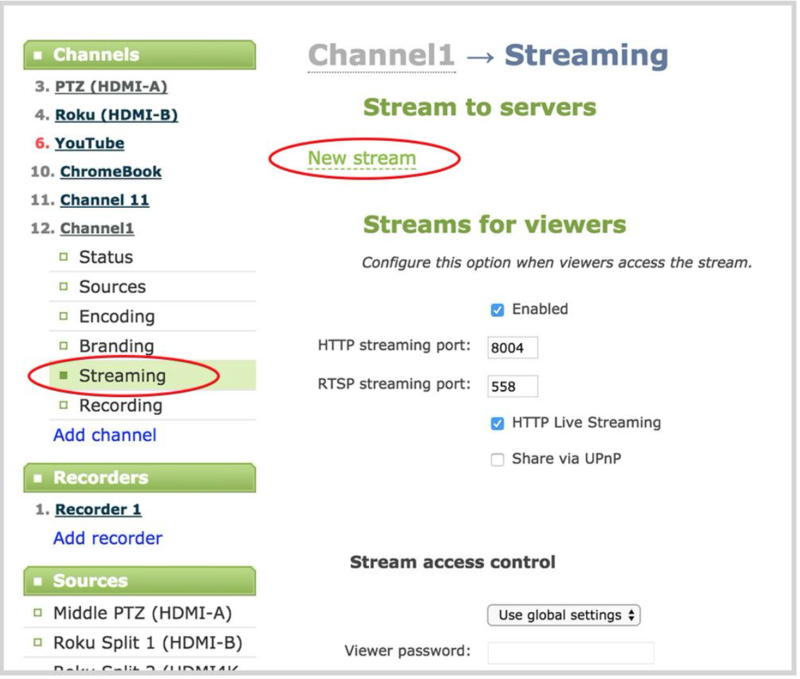 Switch back to Pearl-2 Admin page and click on Streaming in the menu on the left under your channel name and click New stream. IBM Watson Media's Encoder settings into the empty fields. 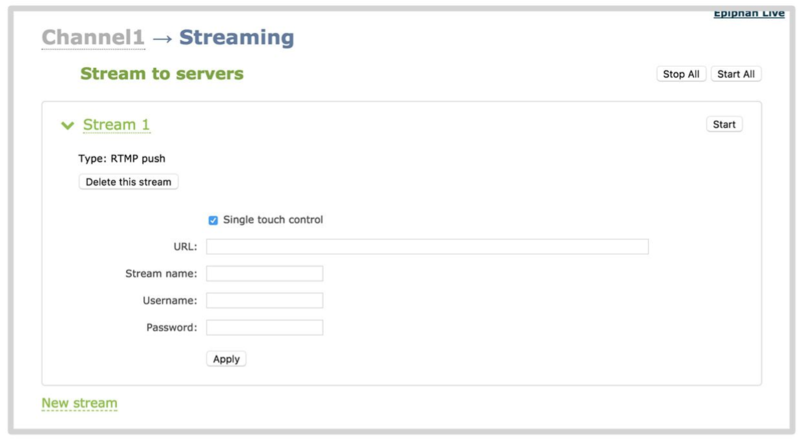 Without closing this window/tab, switch back to your iBM Watson Media Dashboard, go to Broadcast Settings of your channel (bottom of left menu) and on the far right of Encoder Settings click View. 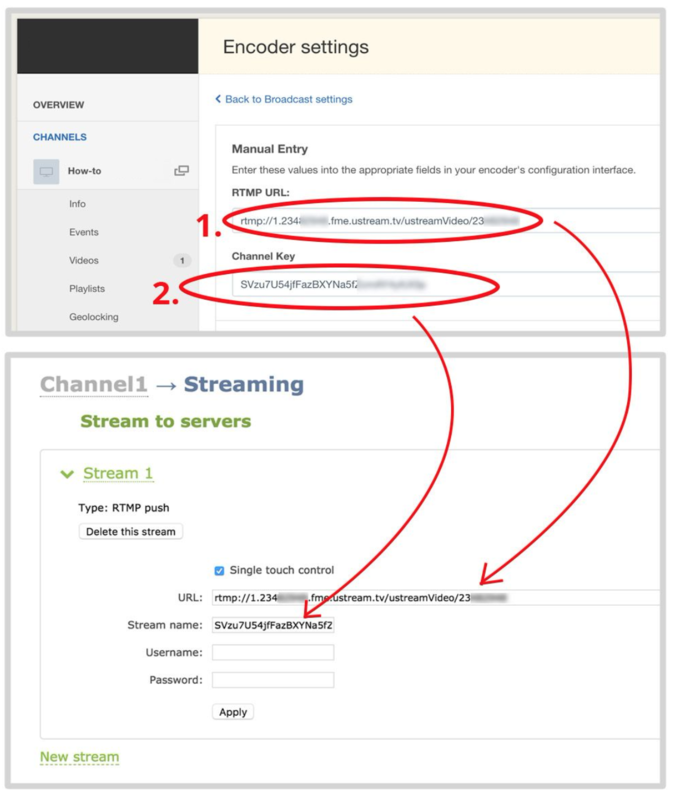 Copy the Channel Stream Key value from Ustream and paste into Pearl’s Stream name. 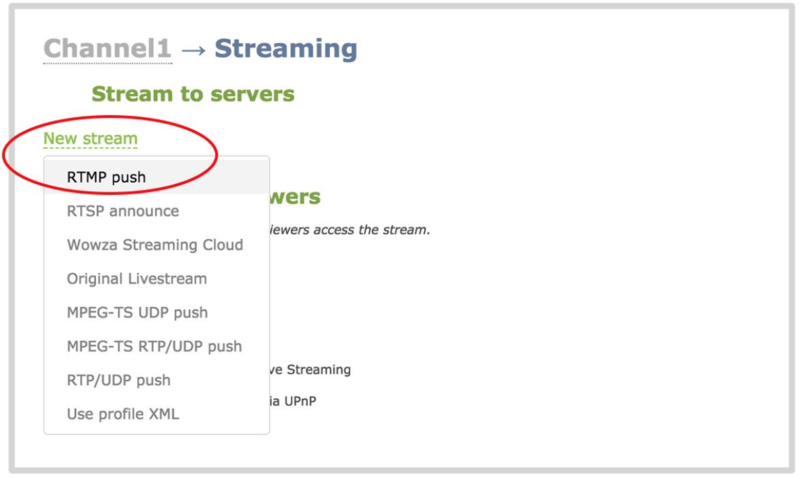 On Pearl’s page, Click Apply and then press Start (in the upper right) when you are ready to stream from the Epiphan Pearl-2 encoder. Now when you visit you IBM Watson Media Channel Page or your player's embedded webiste and you will see your stream that is originating from the Epiphan Pearl-2 Encoder.